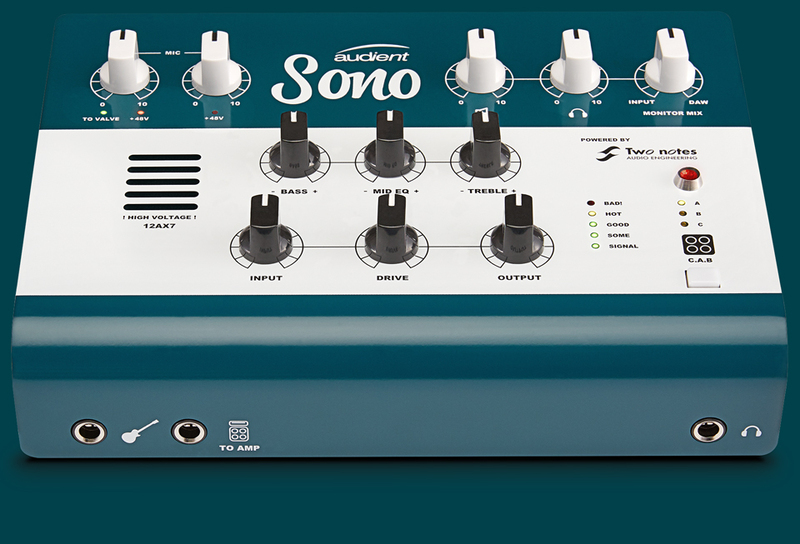 The latest offering from Audient, Sono, is a dedicated 10-in/4-out USB Type-C audio interface designed for electric guitarists and bass players alike and combines award-winning analog recording technology with professional quality amplifier and speaker cab simulations. The compact, all-metal enclosure houses a 12AX7 valve preamp with a scalable input to control how hard you can drive the tube, followed by the digital power-amp stage with a drive knob. Adjust the 3-band EQ to dial-in your perfect settings, then access multiple amplifier cabinets with selections from a Marshall 4x12 to a Fender tweed. 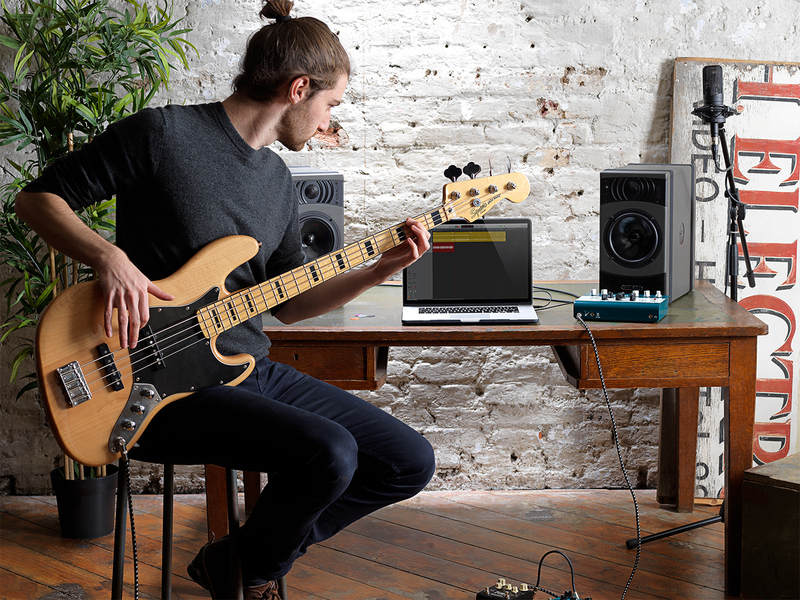 Audient partnered with Two Notes Audio Engineering to bring its renowned Torpedo Power Amp Modelling and Cab Simulation built straight into Sono, which accurately emulates the sound and process of miking a guitar or bass cabinet in a professional recording studio—all from your desktop. The software not only emulates a variety of amplifiers and cabinets, but also includes a selection of highly coveted microphone models with customized placement, as well as room simulation, from studios to cathedrals. The rear panel offers two Audient Console microphone preamplifiers with +48V phantom power for connecting condenser microphones. Both inputs can accept line-level inputs, while input 1 can be routed through the valve preamp for flexibility when recording. If you require more inputs, an ADAT optical input can provide an additional eight inputs, great for recording drums and other instruments. Additional connections include two balanced ¼" outputs for monitoring, a USB-C port for connecting to a computer, and a 12VDC power input. 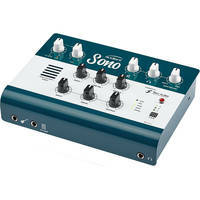 The front panel offers the instrument input, as well as a "To Amp" thru to route your signal to an external amplifier. Additionally, Sono can also function as a "re-amper," allowing you to record a direct dry guitar signal, while monitoring through your favorite amplifier. A monitor mix allows for zero-latency monitoring while recording, so you'll never worry about latency problems during the tracking process. For the live player, Sono lets you store up to three presets on the unit itself via the Cab button, so you can take your perfected sound with you live. For more info, head on over to the B&H website or stop by the SuperStore for a hands-on demo.